Straight out the box it was really locky and corner cutting was terrible. I tensioned it a bit and it became my main. Extraordinary cube, a good successor for the Zhanchi. I prefer the stickerless version. It's very noticeable the improvements made from the v1, because the first version din't have torpedoes and popping was the biggest issue, but in this one there are relly no real problems. It's not the fastest cube out there, and I prefer it this way so I can control it better. The DaYan Guhong was my first speed cube and has lasted me quite some time. I never had a problem with it popping although it does tend to lock up frequently. 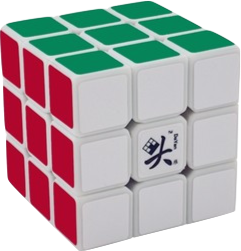 I recommend this cube to beginners who want to advance in speed cubing. Also it was Stickerless**. Very nice color scheme and torpedos worked excellently. 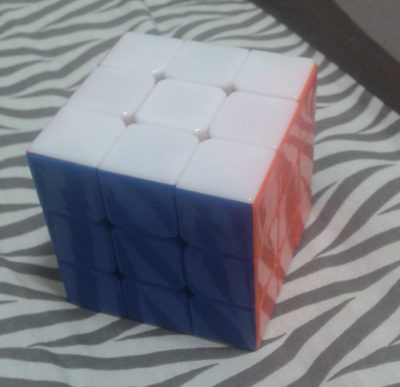 Though the Guhong may be of an outdated design, it is still a good cube. It is fast, and may be too fast for mid-range solvers. Corner cutting is 45 degrees and could reverse small amounts; but if the reverse is too much, the cube may pop though it has torpedoes. It may be sometimes locky but generally it has a smooth and clicky feel. Corner twists do happen sometimes.